Most young children are essentialists: They believe that human and animal characteristics are innate. That kind of reasoning can lead them to think that traits like native language and clothing preference are intrinsic rather than acquired. But a new study from Concordia suggests that certain bilingual kids are more likely to understand that it’s what one learns, rather than what one is born with, that makes up a person’s psychological attributes. The study, forthcoming in Developmental Science, suggests that bilingualism in the preschool years can alter children’s beliefs about the world around them. 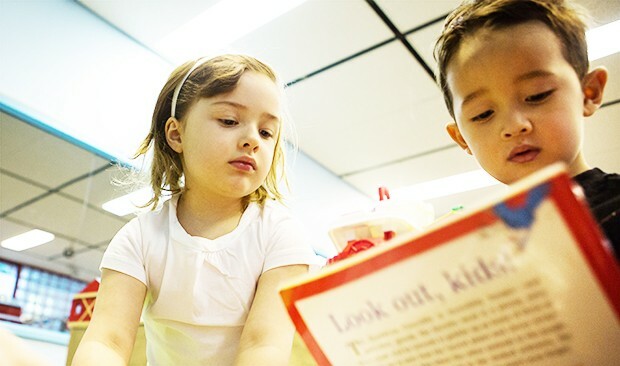 Contrary to their unilingual peers, many kids who have been exposed to a second language after age three believe that an individual’s traits arise from experience. For the study, psychology professor Krista Byers-Heinlein and her co-author, Concordia undergrad Bianca Garcia, tested a total of 48 monolingual, simultaneous bilingual (learned two languages at once) and sequential bilingual (learned one language and then another) five- and six-year-olds.